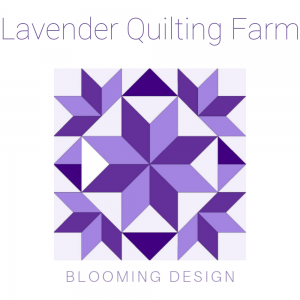 As you know we recently became affiliated to the Fat Quarter Shop. It means that we can include links to products that we like or recommend. We will also show items that you could use for a project when we write about products and projects. Living in South Africa poses some challenges to online shopping for physical products. What are these challenges? To determine what the customer experience will be for a South African, I purchased some items from the Fat Quarter Shop to put this to the test. First of all, Fat Quarter Shop does deliver to South Africa – yeah! 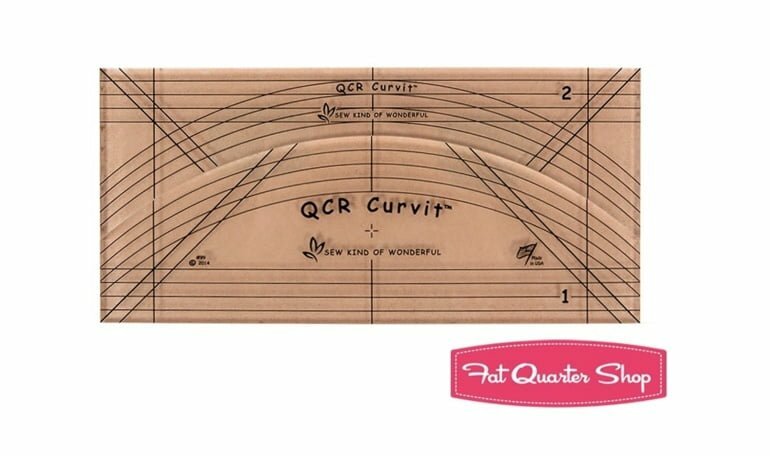 I placed my order on Friday 1 February, and included a longarm ruler set that I’ve had my eye on for some time. No other website, in my search, that keeps this ruler, would deliver to South Africa. 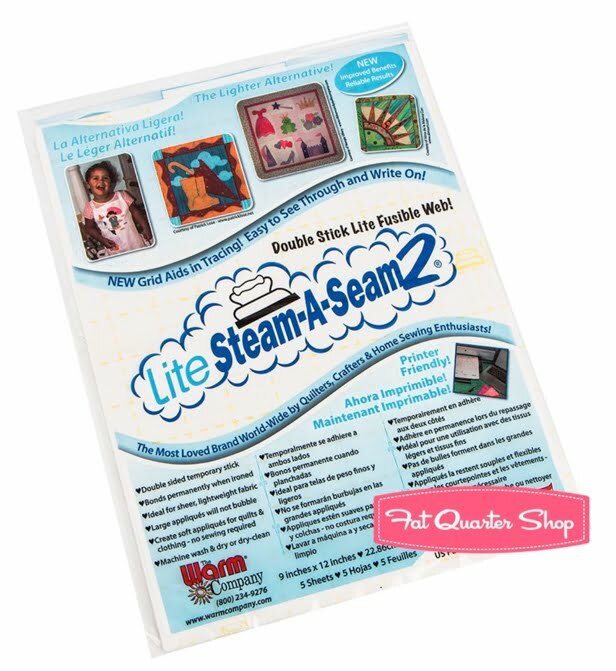 The other item is something that I want to try for quilt labels called “steam-a-seam”. I could use Paypal to purchase my order. This is great, because it’s secure and I don’t share my credit card details with another website. I immediately received a notification from Paypal that payment had been made. Shortly after that I also received a confirmation from Fat Quarter Shop that they have received my order. Since it was close to my bedtime when I did all this, I logged off to get my beauty sleep. When I opened my email the next morning, there was a notification that my order was on the way! It was Saturday, so I was impressed. However, when you take the time difference into consideration, the order was shipped on Friday from the USA. I received another update email from UPS on Monday morning. Later on the same day I received a telephone call from UPS to check the recipient details. In South Africa, it is a requirement of our customs and border control that the recipient be identified and/or that the importer code be provided. I’m not a registered/licensed importer, so I provided my ID number. The call from the courier ended with a simple statement that they will now apply for the parcel to be released, but I can still expect delivery on Tuesday 5 February. This is not shabby for South Africa! The parcel was due on Tuesday 5 February 2019. I could track the parcel on the UPS International courier website, and could see that it was out for delivery, but it was later returned to the warehouse. I can only imagine that the drivers don’t get paid overtime, or that they are not allowed to work overtime (labour law in South Africa is very complicated). The parcel arrived on Wednesday 6 February 2019, around 16h00. The driver was very friendly, and had an electronic device for signature. He even had a stylus – no finger signatures for this courier company! Even though I did expect there to be additional duty, I would have liked to have been informed prior to delivery. However, the driver had a card machine with him so I could pay the usual way. I ordered on a Friday night, SA time. Time differences will influence your expected delivery. 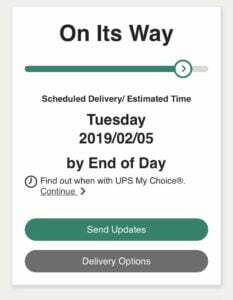 I used the more expensive delivery, UPS Worldwide Express Saver – using the alternative may take a few more days for delivery. The shipping was 75% of the actual order value – still hefty, but you could probably order more and reduce the shipping cost ratio. I did have to pay additional custom fees – that is a bit annoying, and something to consider. It is difficult to determine this yourself. The duty is related to what is in the box, and what the label declares is in the box. Yes, they are sometimes different! I asked that the couriers contact me first so that I could make sure that I was at the delivery address when the package arrived. I expect that it wouldn’t have been necessary as the courier provided a tracking number and a delivery date. From order to delivery took about 4 days – quite impressive in my opinion. I have purchased from Amazon.com, Marks and Spencer in the UK and other international websites before. This is not a new experience, and I do remember the worry that I had when I did this the first time. I hope that this post clarifies how smoothly it can go. 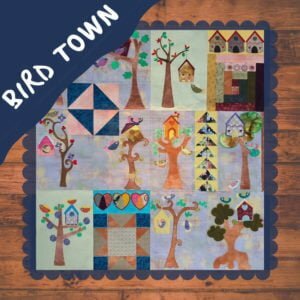 This is a great alternative for getting items that are not available from your local quilt shop, or if you have to travel long distances to get to one. 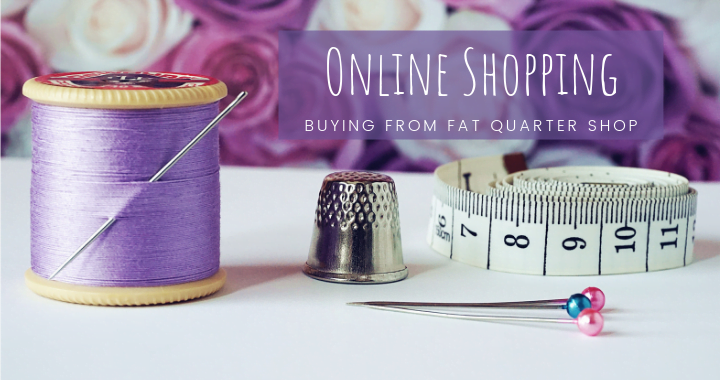 I will be buying from Fat Quarter Shop myself again. Fabric this time, because even with the import duty, it still proves cheaper than my local quilt shop. 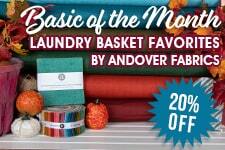 Besides, Fat Quarter Shop has specials all the time! 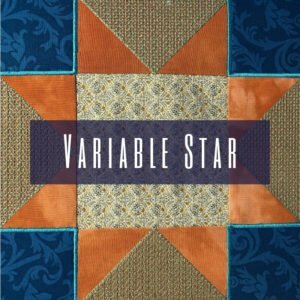 Posted in Supplies and tagged fat quarter shop, quilting rulers, steam-a-seam.